The Friday the 13th Part 2 Jason Ultimate 7-Inch Scale Action Figure has two interchangeable heads and over 25 points of articulation. 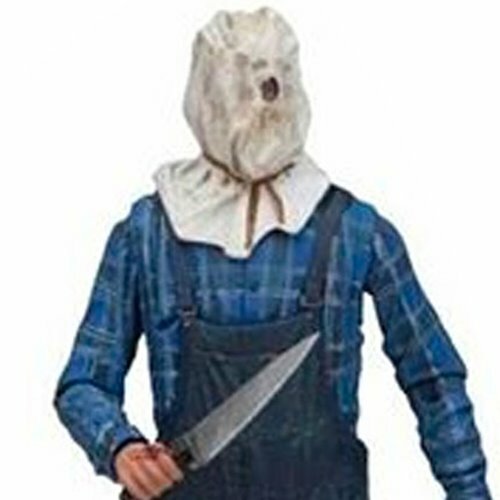 It's got plenty with accessories, as well: campfire, his mother's severed head, machete and knife that both fit into sheaths on Jason's belt, pick axe, spear, and pitchfork. Packaged in a collector-friendly deluxe window box. Ages 17 and up.